Local high-schoolers travel to D.C. as part of international cabinet of teens. WASHINGTON — Two local students have joined 23 others from across and, even, from outside the country in an effort to advocate for STEM education in the nation’s capital. Isabel Lastiri, from Vale High School, along with Abi Wachtler, from Nyssa High School, are members of an international cabinet of teenagers, called Chief Science Officers, that are in Washington D.C. through Friday “to work with and impact national leadership and, for the first time, work as an international cabinet,” according to a news release about the weeklong event. Lastiri and Wachtler are collaborating with other students from Oregon, as well as Arizona, Florida, Georgia, Illinois, Michigan, New York, Texas, Mexico and Kuwait to communicate the importance of STEM (science, technology, engineering and math) education and careers with members of Congress, the Defense Intelligence Agency, NASA, the FBI, and the White House Office of Science and Technology Policy, according to the release. These are just a few of the agencies Lastiri and Wachtler, along with the rest of the group, will communicate with. Throughout this week, the Chief Science Officers will meet with House Science Committee staff, as well as national STEM leaders, including Dr. France Cordova, director of the National Science Foundation; Dr. Sandra Cauffman, Earth Science Division deputy director at NASA; and Megan Smith, shift7 CEO who served as third U.S. chief technology officer. In fact, it was meeting with Smith that Lastiri found to be a true highlight of the summit so far. Wachtler was in agreement with that assessment. “She has a lot of support for us,” the Nyssa junior said. Expanding on her thoughts, Lastiri said she was amazed at Smith’s humble nature. The trip this week has had elements of sightseeing, but communicating with government leaders has, indeed, been a focus for the group of students, the duo said. 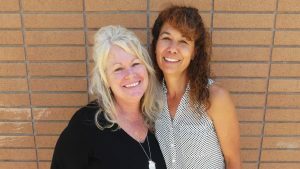 Today, for example, the duo will get the opportunity to meet with a legislative assistant for U.S. Sen. Jeff Merkley, D-Ore., to express the education issues students in Malheur County currently face. “Our rural communities can be overlooked,” Lastiri said. For Wachtler, a real highlight has come from being able to visit the various memorials around the capital area, including the Martin Luther King, Jr. Memorial and Vietnam Veterans Memorial. “Seeing the physical walls, with all of those names, it nearly brought me to tears,” she said. Friday, before the group of students returns home, it will visit NASA headquarters and the Defense Intelligence Agency. Another highlight for the duo has been the interaction with the other team members, especially with the international students. Wachtler described a “love” for cultures that made it exciting for the Nyssa high school student to meet new people. The group of Chief Science Officers doesn’t conclude its work this week, however. Lastiri and Wachtler were voted into their positions by their peers, and were supported by the Frontier STEM Hub, said Nickie Shira, who is accompanying the group as the hub’s STEM and Innovation Coordinator. The students are “ambassadors for STEM and innovation,” according to the news release. 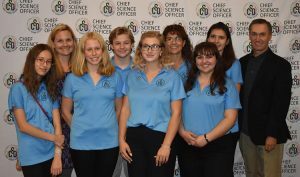 “During the academic year they attend state cabinet meetings, interact with CSO peers online, and support STEM awareness activities both at their school and in the community,” according to the release.